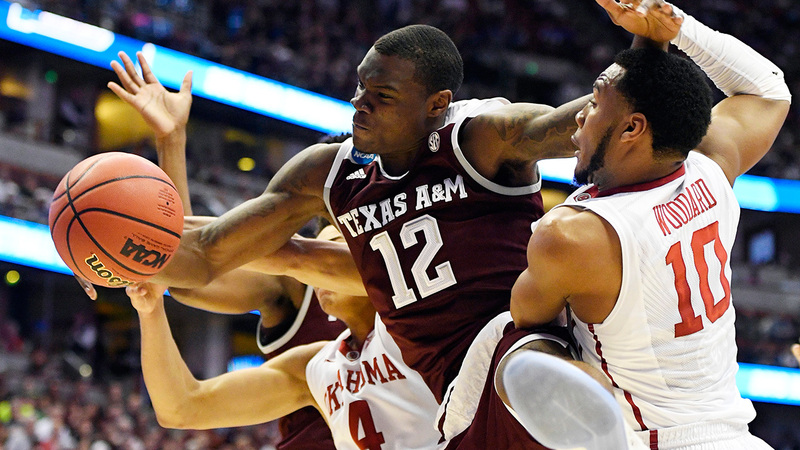 ANAHEIM, CA (KTRK) -- Jordan Woodard scored 22 points and Buddy Hield had 17 points and 10 rebounds to lead the second-seeded Oklahoma Sooners to a 77-63 romp over third-seeded and cold-shooting Texas A&M in the NCAA West Regional on Thursday. The Sooners (28-7) advanced to the Elite Eight for the first time since 2009. They'll play Saturday against the Duke-Oregon winner.